Howard Livingston Hastings was born December 19, 1887 in New York City. His father, James Sibley Hastings, was born in 1857 in NY. His mother, Annie Hazard Egbert, was born in 1859 in New Jersey. His parents married on October 19, 1886 and had three children, Howard (b.1887), Edith (b.1891), and Albert (b.1893). The father was a bookkeeper at a bank. In 1898 the family left NYC and moved to Westfield, NJ, where they lived at 605 Westfield Avenue. In 1908 Howard L. Hastings graduated from Westfield High School. The 1910 Census listed him as an art student, age twenty-two, living at home with his family. 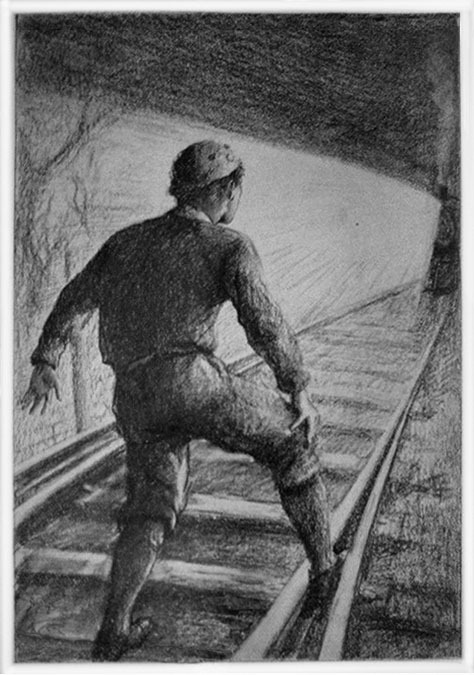 In June of 1911, at the age of twenty-three, he began to study at the Art Students League of NY. The school was located at 215 West 57th Street in NYC. During the summer months, there was also a summer program in Woodstock, NY, where he also studied. 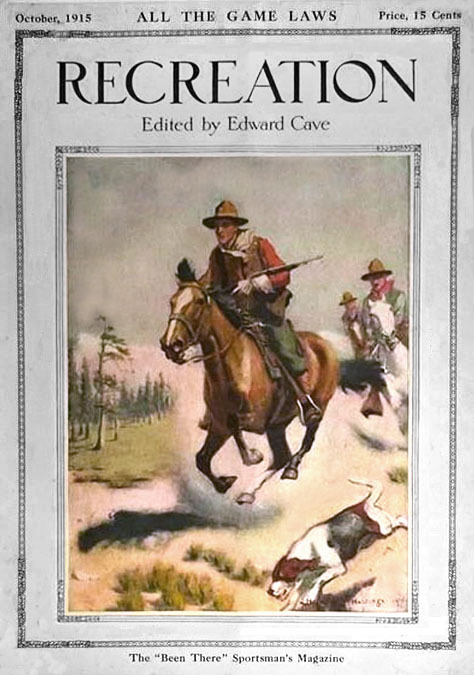 In 1913 Howard L. Hastings began to sell illustrations for childrens books published by Cupples & Leon of NY, such as "The Eight-Oared Victors" by Lester Chadwick, and "Comrades of the Saddle" by Frank Webster. 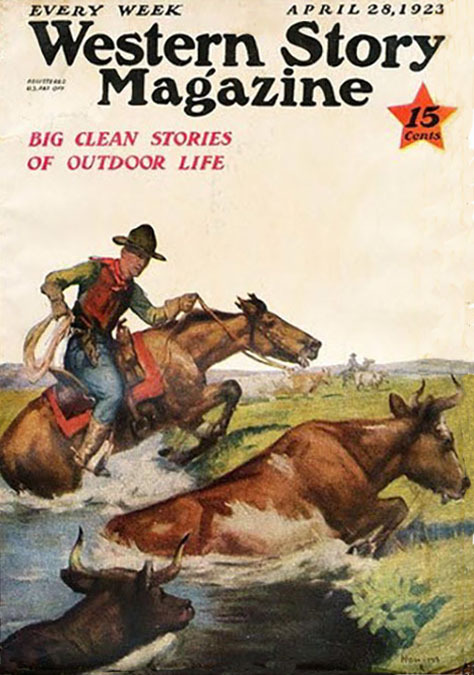 His work also began to appear in magazines, such as Field & Stream, Recreation, Boy's Life, St. Nicholas, and The Popular. He became a founding member of the Westfield Art Group, which still exists to this day. 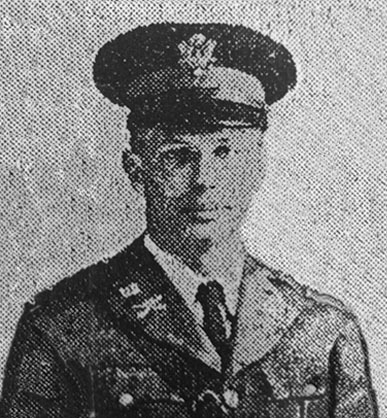 In 1916 he joined the New Jersey National Guard and served with Troop D in the 19th Squadron. During the Great War, Howard L. Hastings enlisted and served overseas with the 312th Engineers Corps. At that time the major source of power for construction projects were horses and mules, so his wartime experience with the U.S. 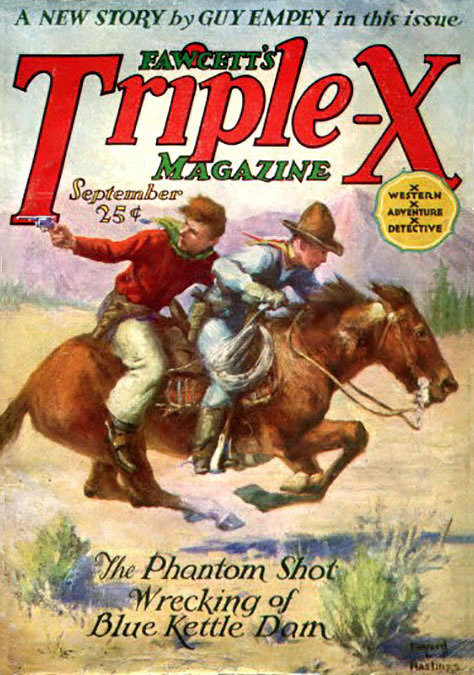 Corps of Engineers gave him a solid knowledge of horses, which influenced his artistic interests. He was honorably discharged in 1919. In 1920 he again enlisted with the New Jersey National Guard and served as a First Lieutenant with the Westfield Cavalry Armory. In 1927 he illustrated a children's book, "Hervey Willetts" by P. K. Fitshugh from Grosset & Dunlap. 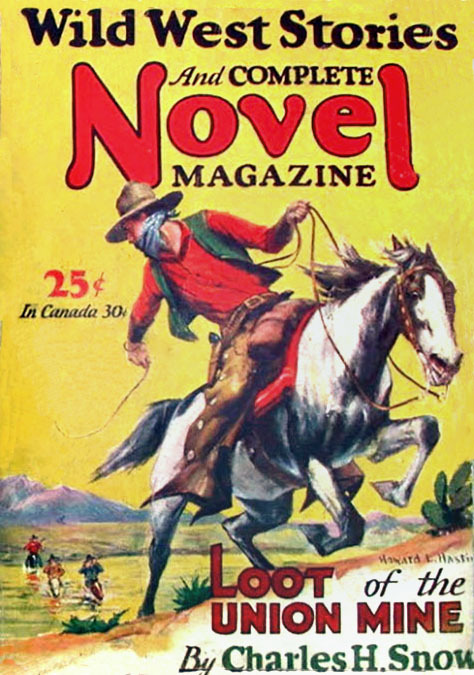 Howard L. Hastings developed a reputation as an artist of wildlife, including horses, which was essential for illustrating Western pulp magazines. 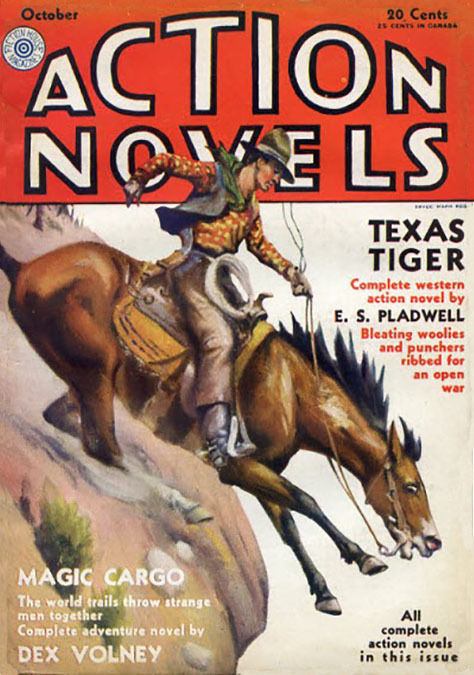 His cover paintings appeared on Western Story, North-West Stories, Action Stories, Lariat, Ace-High, Air Stories, Short Stories, West, The Frontier, Fawcett's Triple-X Magazine, and Wild West Stories and Complete Western Novel. In the 1930 Census Howard L. Hastings (age forty-three) is listed as living at home with his parents (ages seventy-two and seventy) and younger sister, Edith Hastings (age thirty-nine), who worked as a public school teacher. On November 12, 1935 the artist's mother, Annie Egbert Hastings, died at the age of seventy-six. In 1937 the artist's father, James Sibley Hastings, died at the age of eighty. 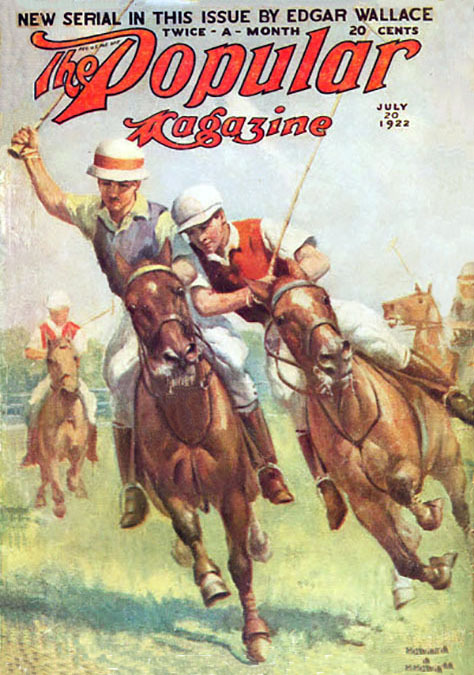 In 1936 Howard L. Hastings (age forty-nine) married Nellie Perkins (age thirty-five). She was born in 1901 in New York. She was a college graduate and, like the artist's sister, she was also a New Jersey public school teacher. They had no children. 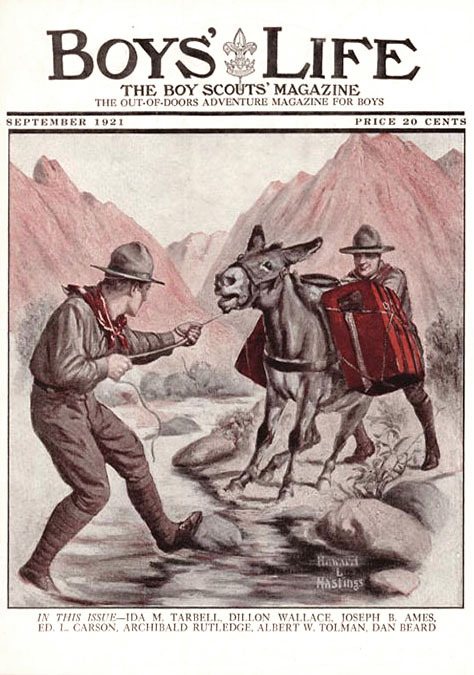 In 1936 he wrote and illustrated "Animal Life in the Wilderness," a children's book from Cupples & Leon Publishing Company. 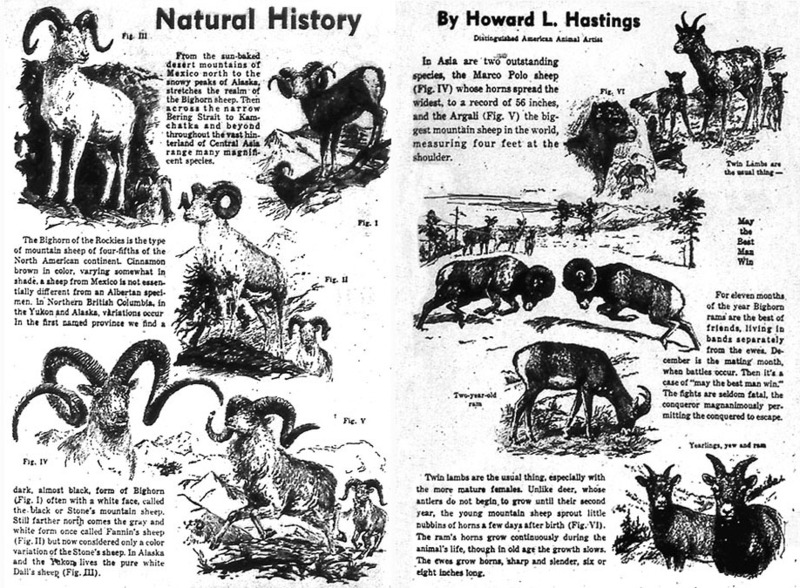 During the golden age of American comic books Howard L. Hastings drew a two-page feature with interesting facts about wildlife, entitled "Natural History," which appeared regularly in most early issues of Funny Pages. 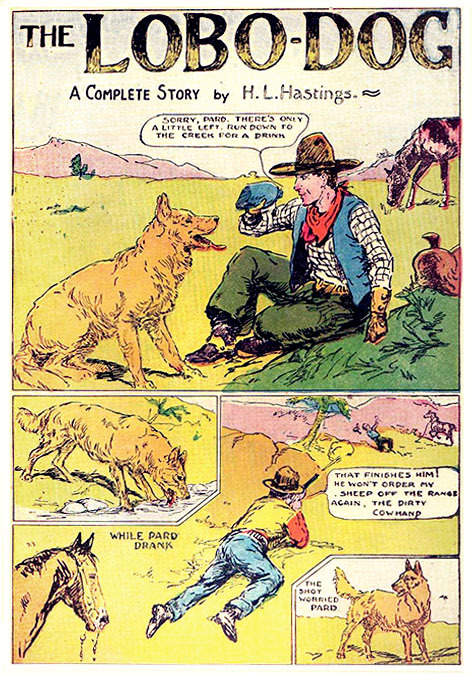 The June 1937 issue of Western Picture Stories contained a seven-page feature, "The Lobo-Dog" by H. L. Hastings. 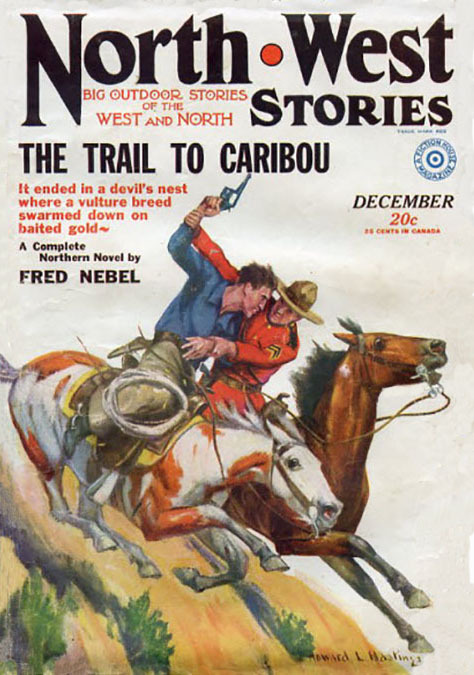 The November 1938 issue of Amazing Mystery Funnies included the seven-page feature, "Tracks in The Snow" by H. L. Hastings. 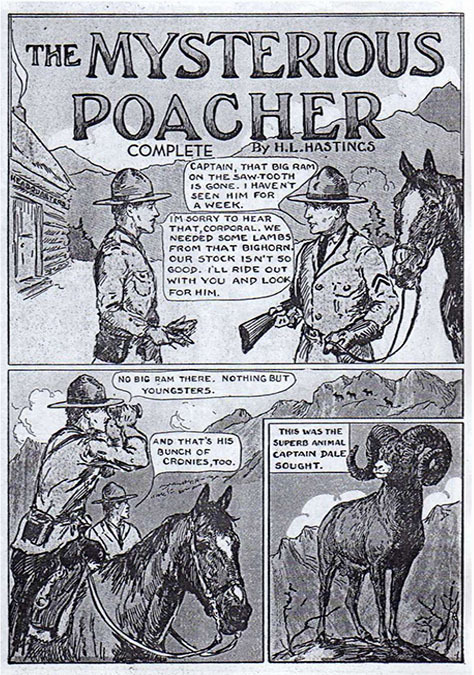 The March 1939 issue of Amazing Mystery Funnies included another seven-page feature, "The Mysterious Poacher" by H. L. Hastings. 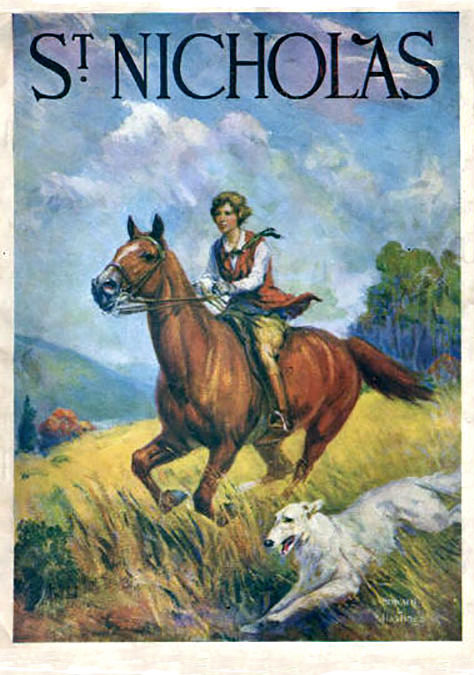 In 1939 he wrote and illustrated another children's book, "Watch, Shepherd Of The Range," from Cupples & Leon Publishing Company. 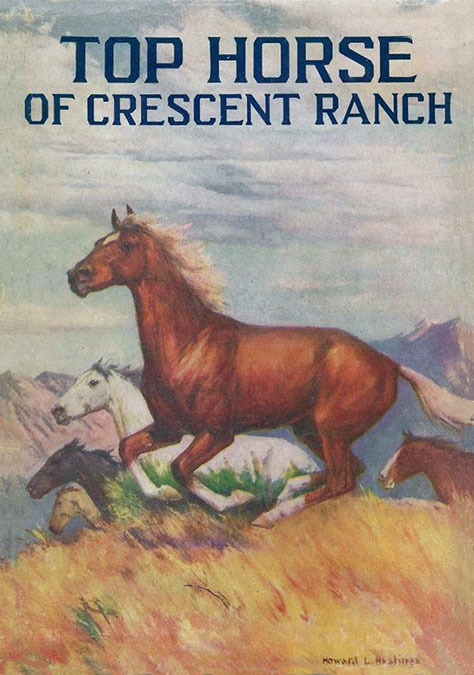 In 1942 he wrote and illustrated "Top Horse of Crescent Ranch," another children's book from Cupples & Leon Publishing Company. Also in 1942 he wrote and illustrated "General Douglas MacArthur, in Picture and Story," a children's book from Hampton Publishing Company. In 1945 he and his wife left Westfield and moved eight miles west to Gillette, NJ, where they lived on Mountain Avenue, next to the Great Swamp National Wildlife Refuge. Howard L. Hastings died of a heart attack at the age of sixty-seven on March 20, 1955.